Unless this Refund Policy specifically provides for a refund, all fees for Web Hosting and related Service(s) are non-refundable, in whole or in part, even if your Web Hosting Service(s) are suspended or terminated prior to the end of your then current contract term. Package fees for Shared Hosting may be refundable, at the sole discretion of 24x7wpsupport.com, if you, the account holder, cancel within fourteen (30) days after purchase. Any additional features, services or upgrades added to your Web Hosting package and purchased at additional fee. Any fees related to domain name registrations associated with your Web Hosting package. Any renewals of Web Hosting and related Service(s). 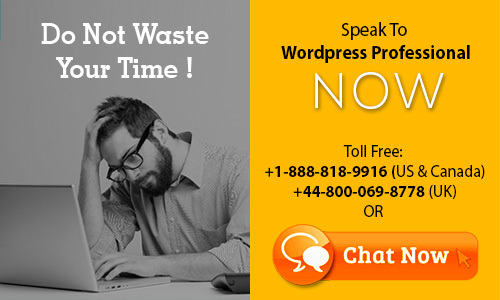 You need to contact us billing@24x7wpsupport.com and we have to check each case manually. Unless this Refund Policy specifically provides for a refund, all fees for SSL Certificates are non-refundable, in whole or in part. If a refund is available, fees for SSL Certificates will be refunded in the form of an account credit. Unless this Refund Policy specifically provides for a refund, all fees for domain name registrations and related domain name Service(s) are non-refundable, in whole or in part, even if your domain name registration is suspended, cancelled or transferred prior to the end of your then current registration term. New domain name registrations may be refundable, at the sole discretion of 24x7wpsupport.com, if you, the registrant, cancel the domain name registration for a valid reason and the cancellation is processed within 3 days (72 hours) after registration. Please note that, in some cases, cancellation and refund are not available for new domain registrations due to restrictions imposed by the applicable registry or registry operating company. No refunds are available for fees paid for After Market Domain Names unless your After Market Domain Name registration is rejected or cancelled by 24x7wpsupport.com, the registry or the third party seller. No refunds are available for fees paid for Premium Domain(s). No refunds are available for fees paid for related Service(s) such as a WhoisGuard subscription for the domain in question. In the case of an unsuccessful attempt to transfer a domain name to 24x7wpsupport.com, we will automatically refund any fees paid as an account credit. General terms apply to all refund eligible Services. In addition, there may be special term(s) that apply to a specific product and service and those are outlined below. All refunds are processed in U.S. dollars: you, the customer, bear sole responsibility for any fluctuations in the exchange rate(s) between the time of payment and the time of refund. Unless you request otherwise, refunds will be credited to your PayPal account or credit card. Purchases made by credit card or PayPal may be refundable to the source of payment. 24x7wpsupport.com is not responsible for any additional charges imposed by your credit card company or PayPal in the case of refund. Additional refund requirements may apply based on specific terms and conditions notified to you when purchasing any Service(s). Transfers or renewals of domain name registrations. Any fees paid by you to 24x7wpsupport.com for providing non-service related support. Any additional information the Customer Service team asks for in order to process your refund request.